I will be honest with all of you...I DO NOT ENJOY Cooking! I never have and always hoped I would meet and marry a professional chef..or at least a man who could cook. Well, didn't luck out in that area (still love you honey!) so I find myself cooking everday. I dislike picking meals out and planning each week, I dislike grocery shopping, and I dislike preparation and stress of making a good meal. What I do love is making a meal I am proud of: one that is organic, natural, free of harmful ingredients and healthy for my children and husband. That ultimately has made me make meals each night for my family and I have gradually started enjoying hearing my son say "Mommy, you are the best cook ever!" and my husband give me "10"s on my meals and take seconds and thirds! But let me tell you, my dislike for cooking has me LOVIN' companies like Comfort and Joy Food, delicious scratch made comfort food sent right to my doorstep. Food I can be proud..to stick in the oven and serve to my family - no planning, mixing, baking, cooking or preparing! I LOVE THIS COMPANY!!! And best of all, this food was DELICIOUS!!!!! Plus, the food from Comfort and Joy makes a great gift (if you feel like sharing it!) 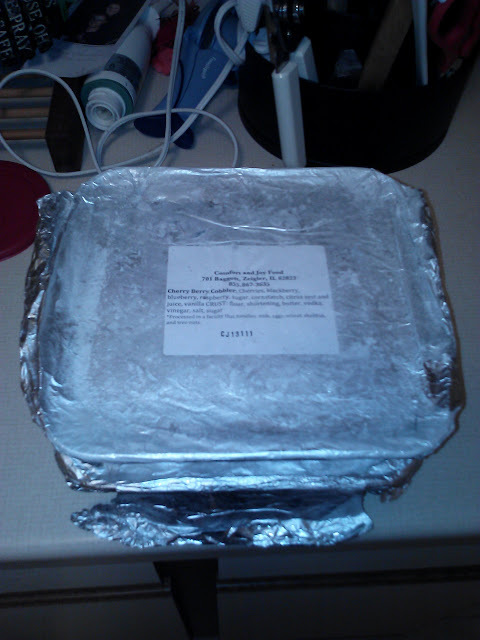 :) Comfort and Joy Food is the ultimate online “thinking of you” gift, featuring scratch made cobblers and casseroles. They use all natural local ingredients – pasture raised meat and poultry, artisanal cheese and fresh produce with no additives or preservatives. The dishes are prepared in small batches using generations old recipes, and then frozen and shipped in a special Styrofoam cooler with dry ice nationwide. The menu is true comfort food; popular items include Meatball Lasagna, Slow Roasted Garlic Chicken Pot Pie, and Cherry Berry Cobbler. 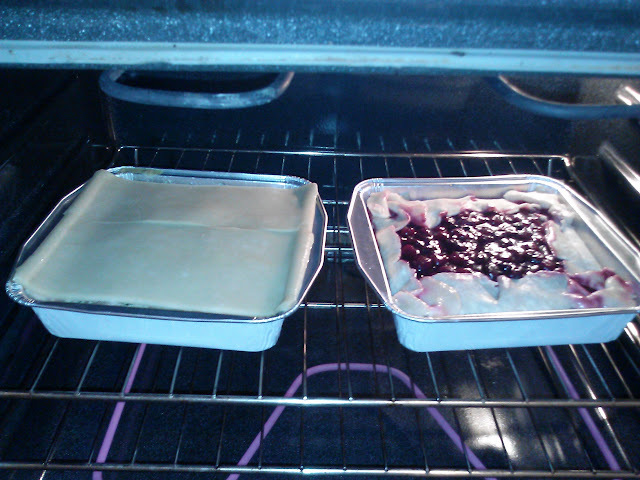 All dishes are available in two sizes and are shipped frozen ready to bake. You can see the full menu at Comfortandjoyfood.com. The way the food arrived at my doorstep once it was unwrapped from the towel. One of my favorite foods is Pot Pie and I was so happy to see that Comfort and Joy Food offers a Slow Roasted Garlic Chicken Potpie. I also received the Cherry Berry Cobbler and I couldn't wait to get a break from cooking and bake up these delicious treats! The food in the oven! They looked so delicious even frozen and the smells that filled my house were SOOOO GOOODDD!! This was the Potpie all baked up and ready to eat! My mouth waters even thinking about it! 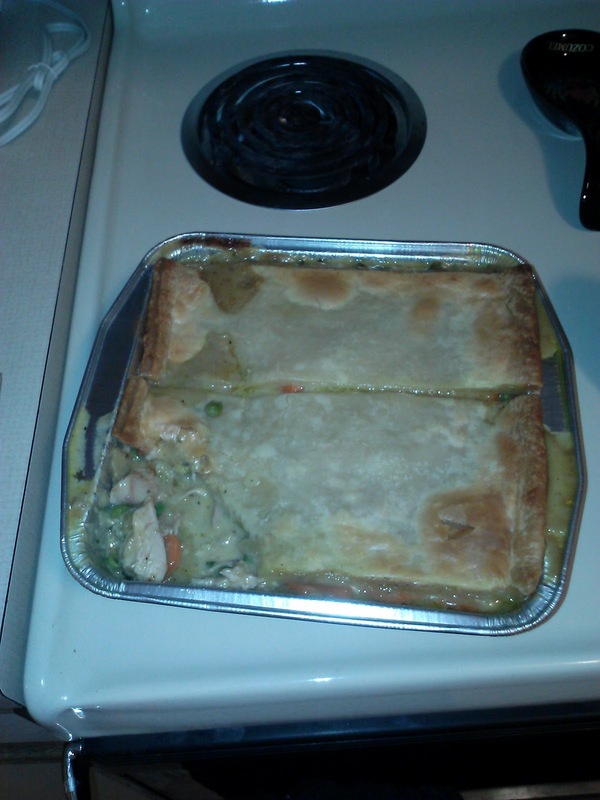 This Potpie was THE. MOST. DELICIOUS. POTPIE. I have ever eaten and I think I ate more food for supper than I ever have! I just couldn't stop! The taste was amazing, the vegetables were so fresh and the meat and crust were perfect! Seriously, I could eat this EVERY DAY! 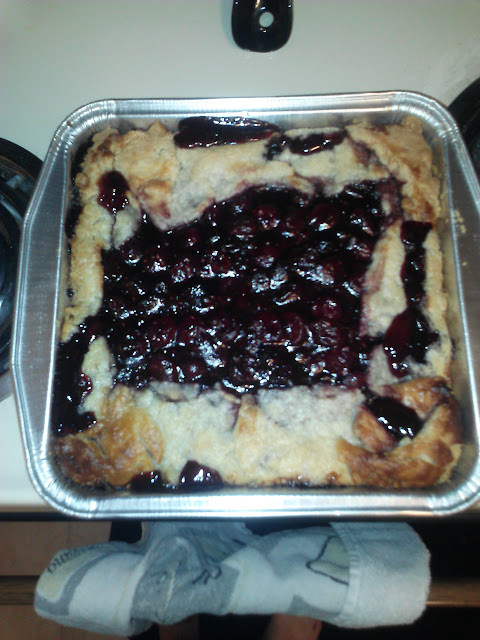 The Cherry Berry Cobbler was also DELICIOUS! It was hot and juicy and tasted so fresh! It is perfect with whipped cream or ice cream! 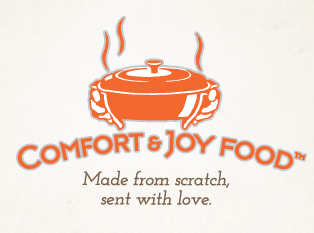 Buy It: You can purchase all Comfort and Joy Food from the Comfort and Joy Food online store.. Win It: Comfort and Joy Food is generously offering (1) Dinner and (1) Dessert to a lucky winner! Now I want that baked cherry cobbler for brunch. Thanks for hosting this great giveaway. Got my fingers crossed.